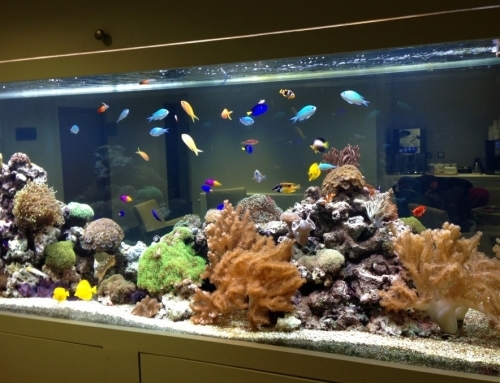 This custom tropical marine reef aquarium is an island design, over 3 metres long and nearly 1 metre high! 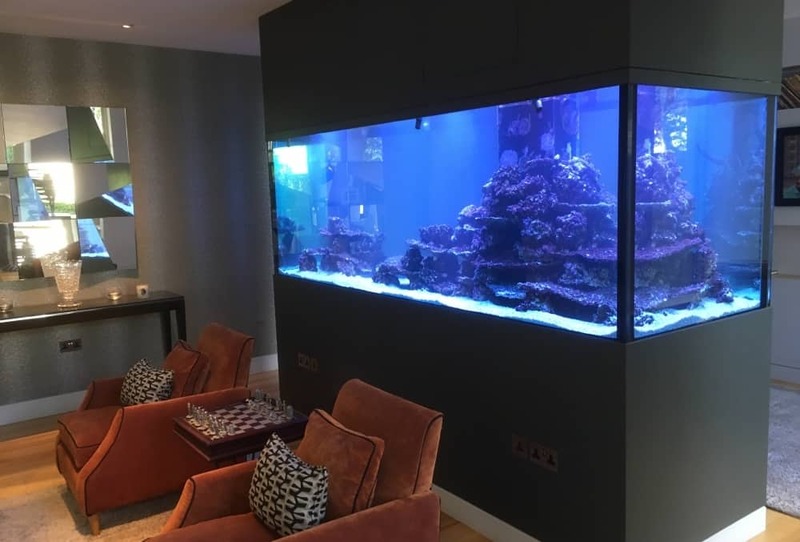 It is a stunning feature within a private home, and features a collection of corals, fish and invertebrates from different parts of the globe. 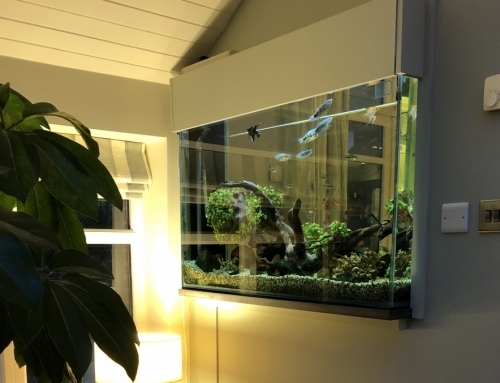 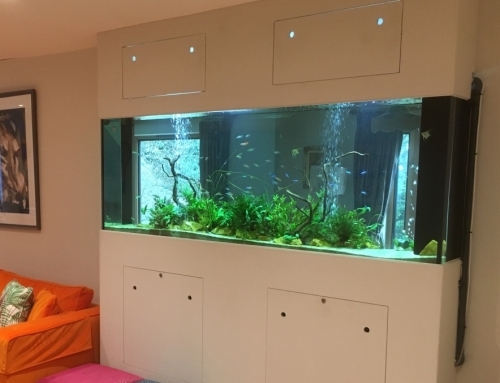 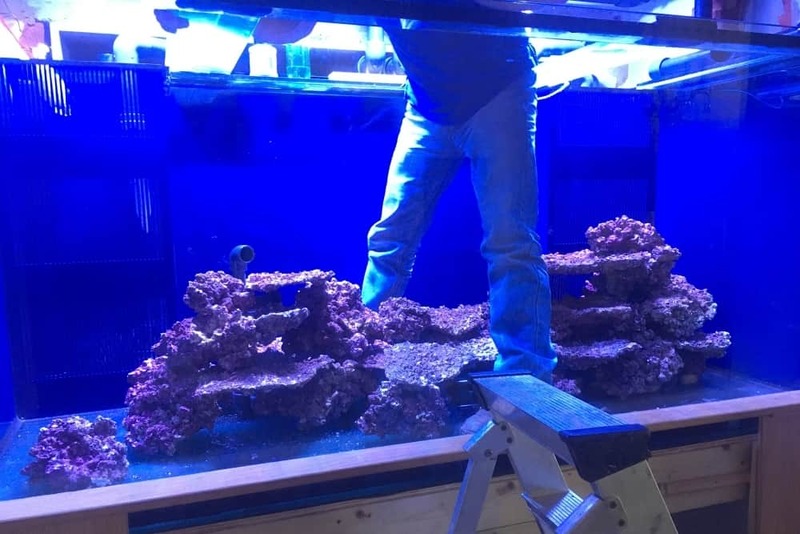 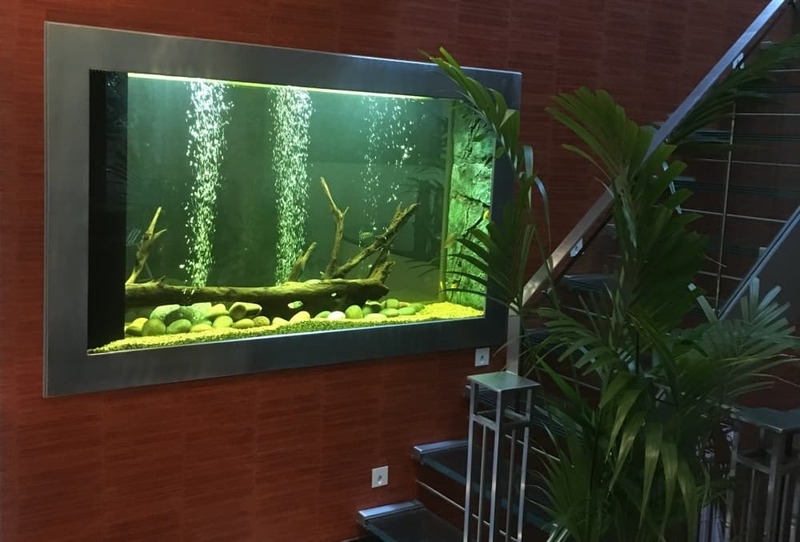 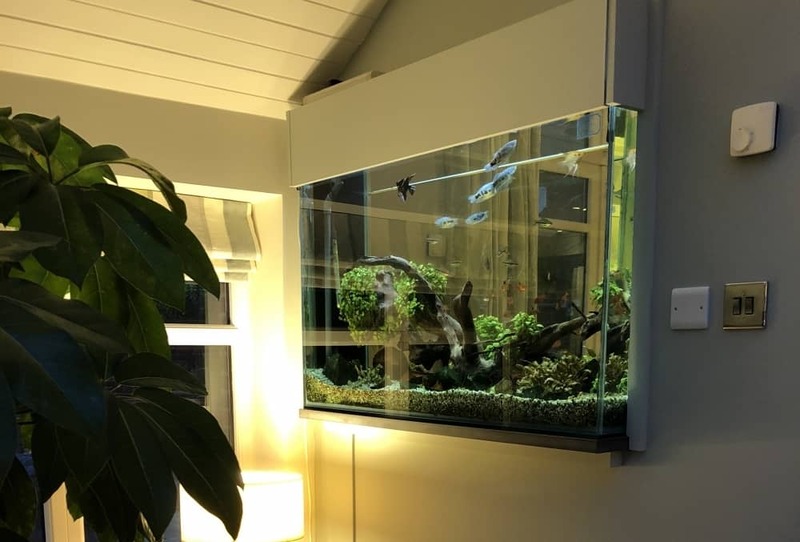 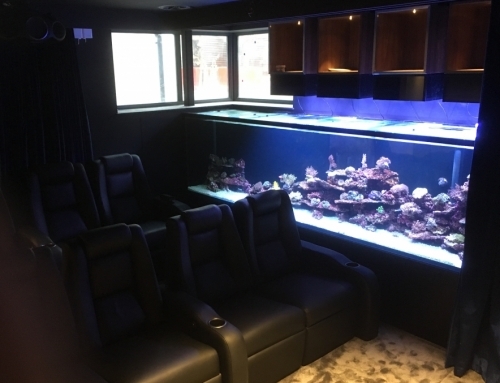 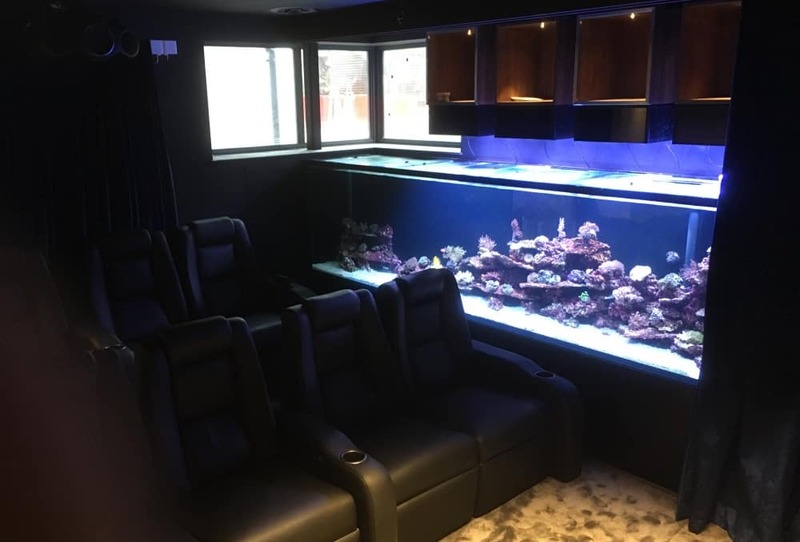 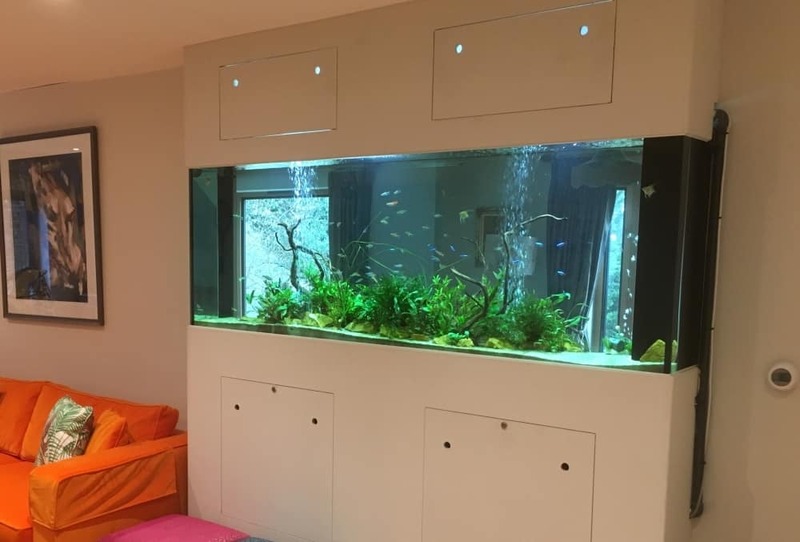 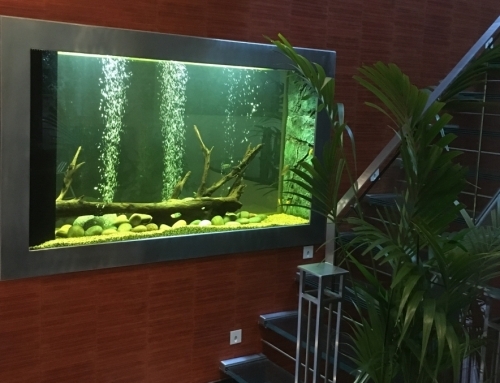 The aquarium was designed and installed by AQUAtechniques while the house was being rebuilt, and we dealt with all the challenges of integrating the filtration and pipework throughout the house, as the chiller was remotely sited on the roof of the four-storey house, but the aquarium is on the first! 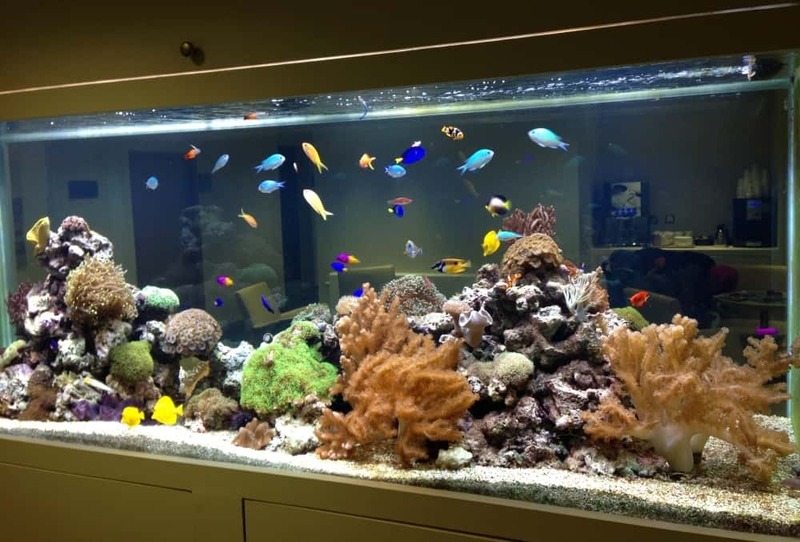 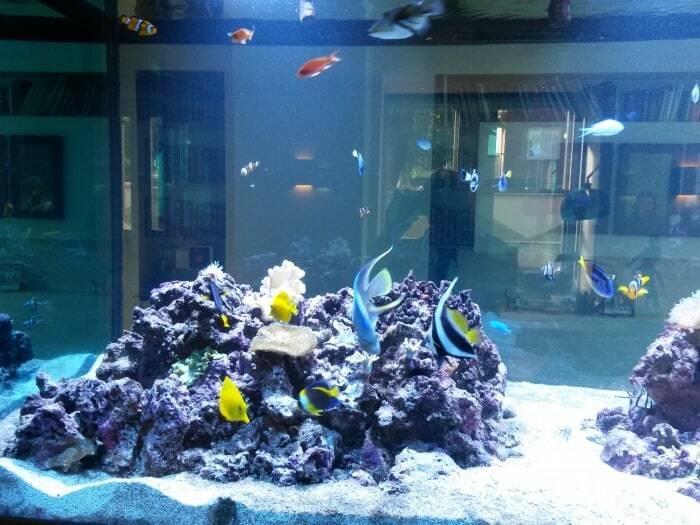 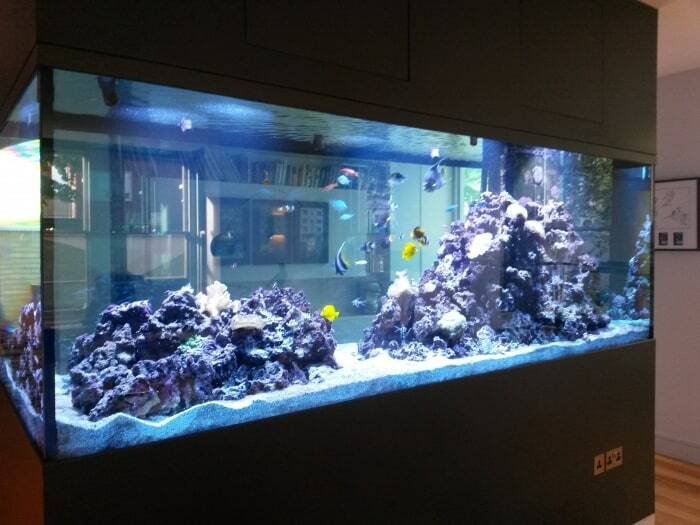 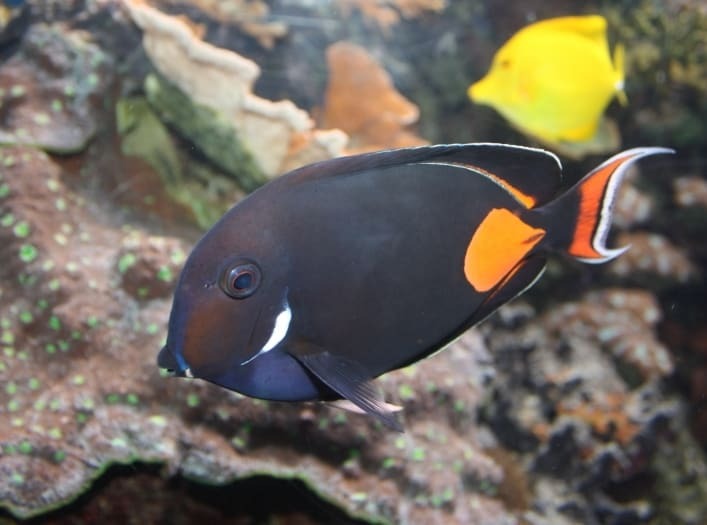 Also fitted with a control system, we remotely monitor this aquarium to ensure all is working as it should be, ensuring the aquarium is happy and healthy.